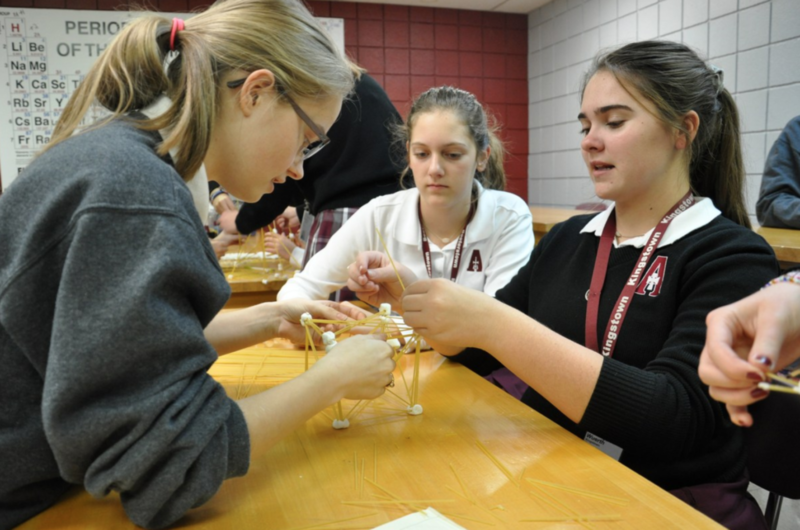 Assumption was the first all-girl’s school in the state selected to participate in the ACE Mentor Program (Architecture – Construction – Engineering). ACE Mentor Program is a national after-school program that provides a hands-on introduction in architecture, design, engineering, construction management, and other construction careers. 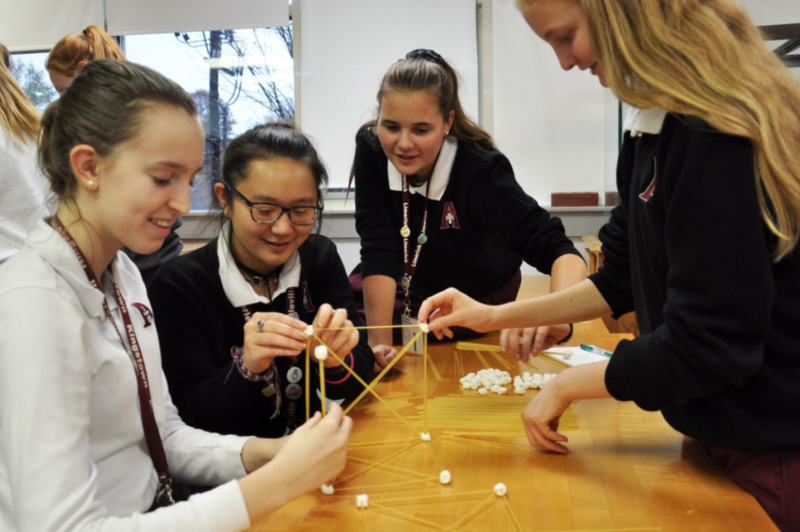 For students who have the imagination and desire to design and/or construct buildings ranging from schools and stadiums, to concert halls and bridges, to tunnels, shopping malls, parks and more, ACE will open the door to that possibility. The program matches students with ACE professionals or mentors who volunteer their time and energy to mentor students in these fields. Students see where and how they work, the skills used, and some of their projects under construction. ACE students design a project for possible construction on campus or in our community. Upon completing the program, they have the opportunity to earn scholarship dollars for college if they elect to major in these fields.